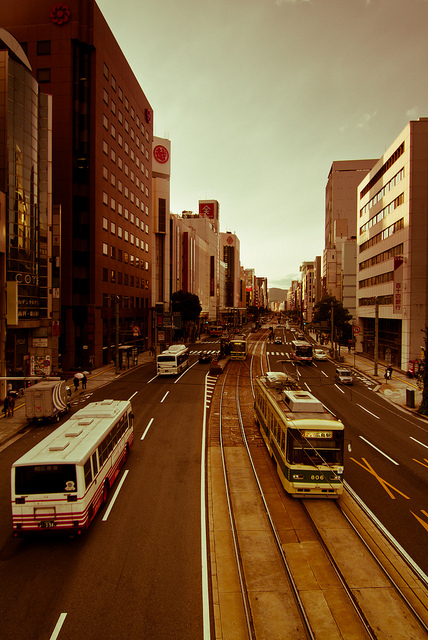 Trains, buses, tall buildings, a wide street and few pedestrians in this photo taken….go ahead and guess. The answer is after the jump. The photo was taken in Hiroshima, Japan, in December.